Posted on September 26, 2015 by EllenAllen	in Planning to write and tagged 100 word story, How to..., Mark Twain, Stephen King, Top ten lists, writing from dreams. I’m not a huge fan of blog posts that offer suggestions for writing exercises (“Imagine you have just one wish” or “Pretend you’ve found some treasure”). And I don’t like books that offer writing prompts (“You’ve just woken up in a place where you can’t speak the language, write for 5 minutes on what you would do next”). I just don’t see the point. 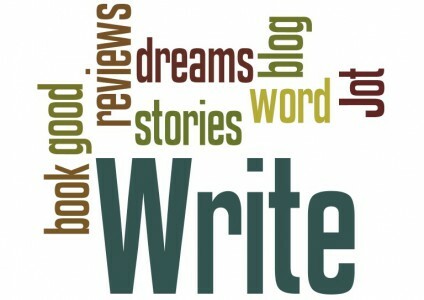 50% of the attraction of writing is because you think you have something to say that comes from your head. Why waste precious writing time on an unoriginal thought? That said, I do think you can work on the other half… the writing. There’s probably a reason why journalists become writers (or writers have been journalists); they’re used to writing, every day, to complete a specific task, with a finished result. So whilst I’m not sure if you can teach or learn good writing (and that definitely includes me!) I do think that you can probably improve upon whatever talent you do have with a great deal of practice. 3) Write 100 word stories. Mark Twain famously said that he “didn’t have time to write a short story so he wrote a long one instead” Use the same principle and practice your writing by trying to write a short story in no more than 100 words. Post it on 100 word story. It’s really hard to write a good one, but it might help you hone your writing. 4) Write book reviews. Follow Stephen King’s advice; he says that “writing is reading” and suggests writers should read widely across lots of genres. Why not get more out of your reading by finishing each book off with a short blog post? I love reading book reviews from a select group of bloggers, particularly if I don’t know the book or if they’re coming at their reviews from a different angle. Don’t rewrite the plot or synopsis (aaargh, boring) but give your opinion, relate it to real life, relate it to other books out there. Make it relevant. Then of course, the only thing left to do, is to write the book itself… one small day at a time.